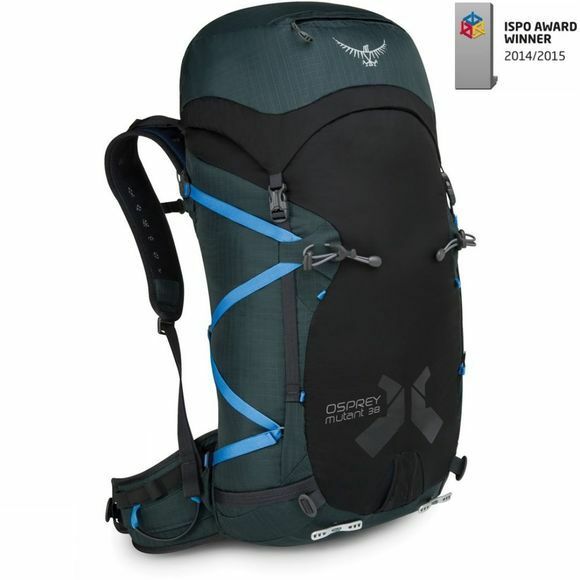 This tough technical pack is the perfect climbing partner. 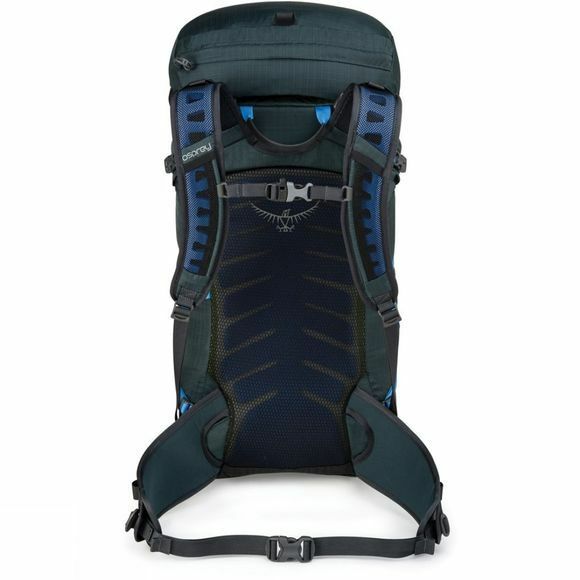 On short alpine adventures or multiday mountain trips the Osprey Mutant 38 is a dependable performer. The Mutant has a highly tear and abrasion resistant nylon fabric with a reinforced base providing protection from rough surfaces and sharp tools. Rack your gear on the hypalon reinforced hipbelt loops, providing rapid access to your climbing protection. Carrying your axes on the Mutant with the ToolLock, provides a simple, light and effective axe carrying solution. The moulded and stiffened EVA back panel sheds snow but is also stable and robust. For those of you who like to rough it overnight the Mutant has a trick in its internal sleeve in the shape of a tri-folding bivy pad, making that tiny rock ledge a little more comfortable. For the minimalist, lightweight explorer your can ditch the pad, remove the floating lid and reduce your pack weight by roughly 400g. To make life a little easier you can reverse-wrap the hipbelt and utilise the four reinforced haul points to bring the pack up behind you on a tricky section. Each and every aspect of the Mutant has been proven and tested from Alaska to the Himalayas to ensure it has everything you need and nothing you don't.